The Kingsport Police Department is seeking assistance from the public in three active financial related felony investigation. In one of these cases, Detectives are still attempting to learn the identity of the two suspects responsible. However, in the other two cases, the suspects have been identified and warrants have been obtained; however, the suspects remain at large. On June 16, 2017, a resident of Germantown, Tennessee reported to the K.P.D. that unidentified suspects were attempting to use her identity to fraudulently open credit cards in her name throughout the Kingsport area. Through subsequent investigation, Detectives were able to obtain surveillance footage of two suspects in the act of attempting to open a credit card at the Belk Department Store in the Fort Henry Mall, located at 2101 Fort Henry Drive in Kingsport. The suspects also attempted to fraudulently open accounts at other area stores to include Target, Kohl’s, Walmart, and Verizon. Photos of the suspects are included in this release, but they have not yet been identified. 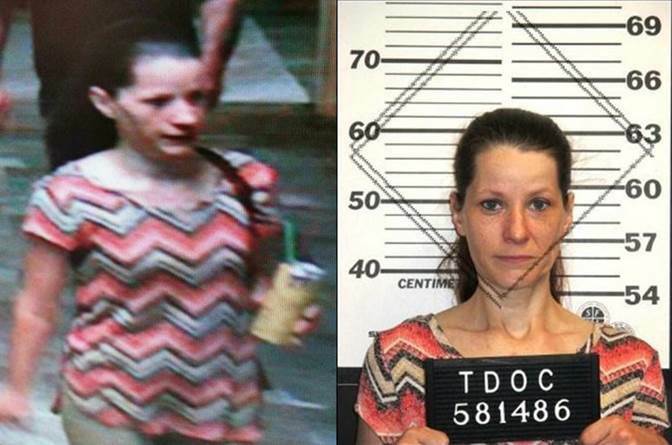 On June 26, 2017 at approximately 4:30 PM, a female suspect, later identified as Kimberly D. Reed, stole a wallet belonging to an employee from an office at Holston Valley Medical Center, located at 130 West Ravine Road in Kingsport. The wallet contained a credit card which was fraudulently used several times by Ms. Reed following the theft. A warrant has been obtained, charging her with 1) Identity Theft, 2) Fraudulent Use of a Credit Card, 3) Attempted Theft Over $1,000, and 4) Theft Under $500. Ms. Reed currently remains at large. She is aware of the charges against her and is actively avoiding arrest. As an incriminating side note, surveillance video shows Ms. Reed to be wearing the same shirt at the scene of the crime as she is wearing in a mug shot provided by the Department of Probation and Parole. On July 20, 2017 at approximately 2:00 PM, a male suspect, later identified as Daniel Lee Roach, attempted to cash a check for $2,429.00 at Bank of Tennessee, located at 4214 Fort Henry Drive in Kingsport. The check was written to Mr. Roach from the account of a Nashville, TN based business. The clerk was able to determine that the check was not valid and was in fact a counterfeit that had been fraudulently manufactured to resemble a real check. She refused to cash the check, and Mr. Roach left the scene. Detectives have since obtained a warrant charging Mr. Roach with 1) Criminal Simulation and 2) Attempted Theft Over $1,000. He currently remains at large. 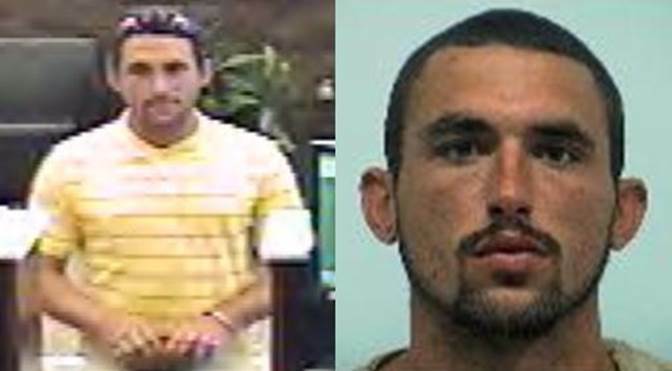 Anyone who may know the identity of either of the two suspects in the first case, or who may know a possible location where either Kimberly Reed or Daniel Roach can be located is asked to contact Detectives in the K.P.D. Criminal Investigations Division at 423-229-9429 or call Kingsport Central Dispatch at 423-246-9111.